Dudley Solar is comprised of four separate arrays, totaling 2.4 MWs, located on adjacent parcels of land in the Town of Dudley, Massachusetts. 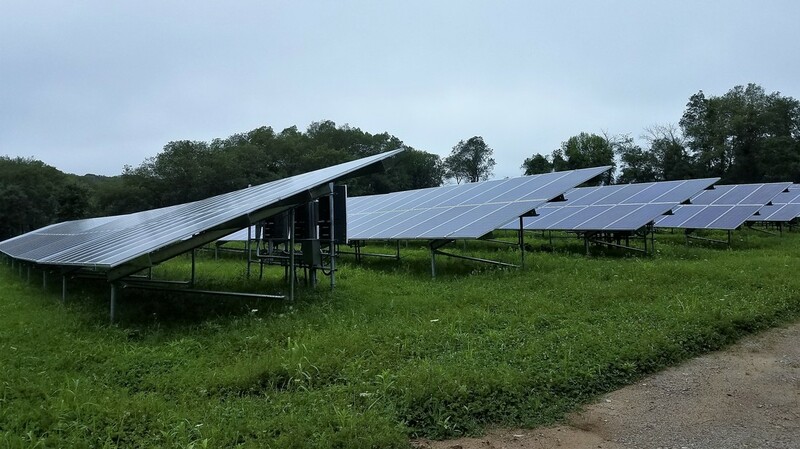 Nexamp partnered with Evergreen Farm, a locally-owned 5th generation family farm, to co-locate a productive source of solar energy with existing agricultural operations on the 265 year-old farm. More than 100 residents, small businesses and non-profits will realize energy cost savings from the project through Nexamp’s Solarize My Bill™ community solar program, which is dedicated to making the benefits of solar affordable and accessible to all Massachusetts ratepayers. Together with UMass Memorial Health Care, Worcester Polytechnic Institute, and Jiminy Peak Mountain Resort, project subscribers are estimated to avoid a combined $1.5 million in electricity costs over the lifetime of the project.